September is Pedestrian Safety Month and the National City Police Department will be joining the California Office of Traffic Safety (OTS), along with other law enforcement agencies, transportation agencies and pedestrian advocates to promote public awareness aimed at pedestrian safety. 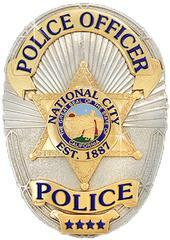 National City Police Traffic officers working overtime and others on routine patrol will be focusing enforcement both on drivers as well as pedestrians who violate traffic laws, such as speeding, making illegal turns, driving distracted, failing to stop for signs and signals, or failing to yield to drivers or pedestrians. The National City Police Department supports efforts by OTS to educate drivers that “Pedestrians Don’t Have Armor.” This campaign highlights the importance of pedestrian safety awareness, regardless of whether one is on foot or behind the wheel. Funding for this enforcement campaign is provided to the National City Police Department by a grant from the California Office of Traffic Safety, through the National Highway Traffic Safety.